Though the domain of Jane Austen’s novels was as circumscribed as her life, her caustic wit and keen observation made her the equal of the greatest novelists in any language. Born the seventh child of the rector of Steventon, Hampshire, on December 16, 1775, she was educated mainly at home. At an early age she began writing sketches and satires of popular novels for her family’s entertainment. As a clergyman’s daughter from a well-connected family, she had an ample opportunity to study the habits of the middle class, the gentry, and the aristocracy. 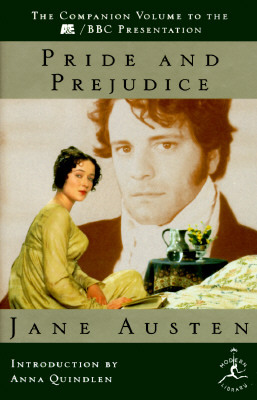 At twenty-one, she began a novel called “The First Impressions” an early version of Pride and Prejudice. In 1801, on her father’s retirement, the family moved to the fashionable resort of Bath. Two years later she sold the first version of Northanger Abby to a London publisher, but the first of her novels to appear was Sense and Sensibility, published at her own expense in 1811. It was followed by Pride and Prejudice (1813), Mansfield Park (1814), and Emma (1815). After her father died in 1805, the family first moved to Southampton then to Chawton Cottage in Hampshire. Despite this relative retirement, Jane Austen was still in touch with a wider world, mainly through her brothers; one had become a very rich country gentleman, another a London banker, and two were naval officers. Though her many novels were published anonymously, she had many early and devoted readers, among them the Prince Regent and Sir Walter Scott. In 1816, in declining health, Austen wrote Persuasion and revised Northanger Abby, Her last work, Sandition, was left unfinished at her death on July 18, 1817. She was buried in Winchester Cathedral. Austen’s identity as an author was announced to the world posthumously by her brother Henry, who supervised the publication of Northanger Abby and Persuasion in 1818.